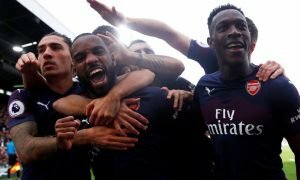 Arsenal outcast set for Reading | The Transfer Tavern | Where football transfer rumours fly or die! In a move that has raised a few eyebrows and put down a few pints at the Football Transfer Tavern, Arsenal outcast Andrey Arshavin is set to make the move out of London to relegation threatened Reading according to our friend Sami Mokbel at the Mail Online. The Russian has been on the outskirts of Wenger’s side for longer than some of our punters take to hit the bullseye and has been looking for a way out – preferably back to Russia. The player is willing to take what he can get and is not against remaining in London and would happily link up with Russian compatriot Anton Zingarevich – Reading’s billionaire owner. 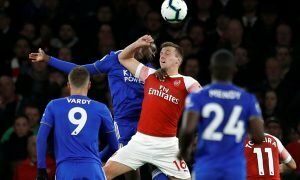 Having cost Arsenal £15 million in 2009 and currently on a huge deal in wages at the club, Arsenal are keen to offload the player and have told Arshavin he is free to go should an acceptable offer be placed on the table. With the player on nearly £90,000-per-week, Wenger is desperate to get the player off the wage bill and the club are willing to take a huge hit on the player and offload for as little as £2 million. Reading are currently in the relegation zone and in need of a turnaround in fortunes and fast before they become further adrift and are believed to see Arshavin as the first step to safety. Arshavin is also attracting interest from Fulham and Zenit Saint Petersburg meaning his options are certainly open this January. Do you think Arshavin should make a move to reignite his career? Vote in our polls below.